There are certain signs that let you know your dryer isn’t functioning at top capacity. A couple examples are if the clothes smell musty when they come out or if your laundry requires multiple cycles in order to become completely dry. 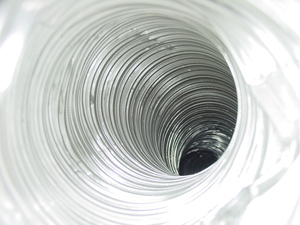 Rather than assuming that your dryer is broken, consider a dryer vent cleaning. When your dryer requires multiple cycles to dry a load of clothing, the dryer vent may be clogged. If your dryer vent is clogged, it can lead to more serious troubles, such as overheating—which could cause the thermostat to burn out faster. In the worst possible scenario, a plugged dryer vent can lead to a house fire. When you notice signs that your dryer vent may be clogged, call us at our, Knoxville, TN location. Our service professionals will respond promptly and efficiently. Let us set your mind at ease and help you get your clothes fresh and dry again.